Dani Marti has crafted new works for his upcoming exhibition ‘Red on Red’ that focus in on the communion between the artist and his materials; a relationship that is bound within his unconventional ‘canvases’. Weaving and bending his materials together by hand, Marti invests each ‘painting’ with a rhythm that suggests the performative process of making. Untethering his work from the stories of his heroes and neighbours, Marti now explores the psychology of surface through acrylic, polyester and aluminium. These new works take on the guise of abstract paintings, with each raw part acting as a fleck of paint. However, instead of resolving into a portrait, landscape, or other appearance, Marti’s materials have a sensual certainty in themselves. Hanging on the wall and free-standing in the gallery space, the tangible structure of re-purposed rope and warped road reflectors flirt with the viewer’s perception; their bold colouring changing and rippling according to the movement of the viewer’s body. This exhibition marks a turning point in Marti’s practice, where his approach to abstraction shifts away from human encounters to optical play. The artist’s concern with the rigorous formal qualities of his materials has grown and he orchestrates a direct exchange between these materials, the gallery, and the light that fills the space. The granulated symmetries of Marti’s ‘paintings’ capture light and create shades within shades of primary colours so that the tension woven into the acrylic and polyester is magnified. Even though each work strives for the liberating feeling of objectivity, they are inevitably taut with the desires and body of the artist. As these quasi-sculptural forms double and invert on themselves, individual traces of the artist are both bound within the work and unraveled in the process of viewing. 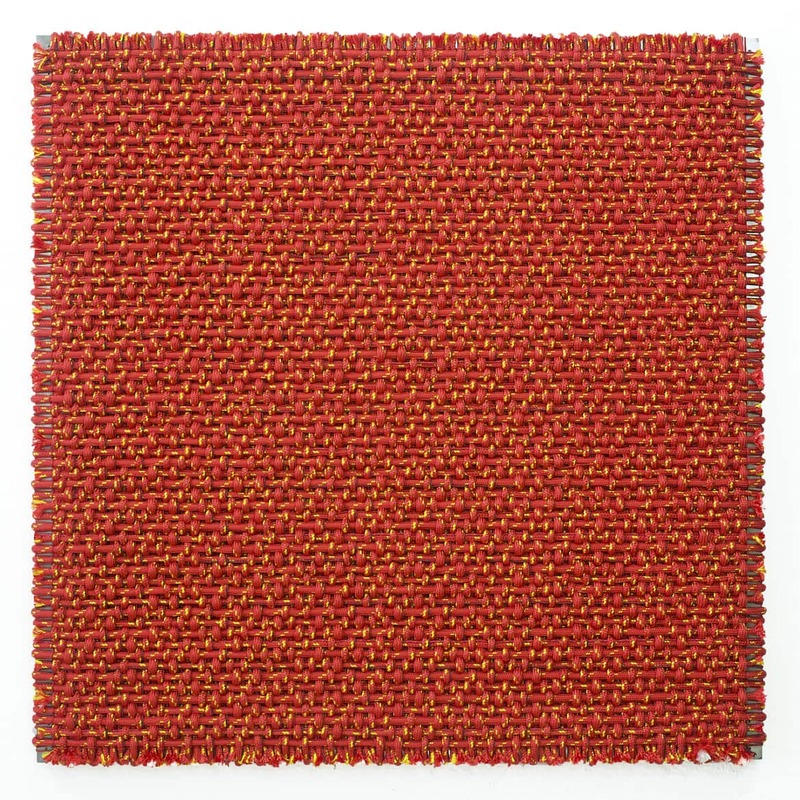 Ultimately, Marti’s works elude a concrete reading, favouring the infinite psychologies of colour, surface and texture.